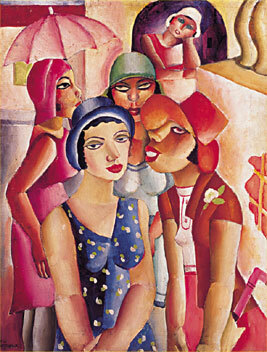 Emiliano Di Cavalcanti, Five Girls from Guaratinguetá, 1930 (detail). Oil on canvas, 91 x 71 cm. Museu de Arte de São Paulo Assis Chateaubriand. Photo by Luiz Hossaka. The integration of sensory and spiritual experience—the union of body and soul—is explored in this celebration of Brazilian art and culture. Baroque masterpieces from the 17th and 18th centuries and exceptional works of Modern and contemporary art are shown together to reveal the culturally diverse aspects of Brazilian artwork. The Solomon R. Guggenheim Museum gratefully acknowledges the assistance of BrasilConnects.